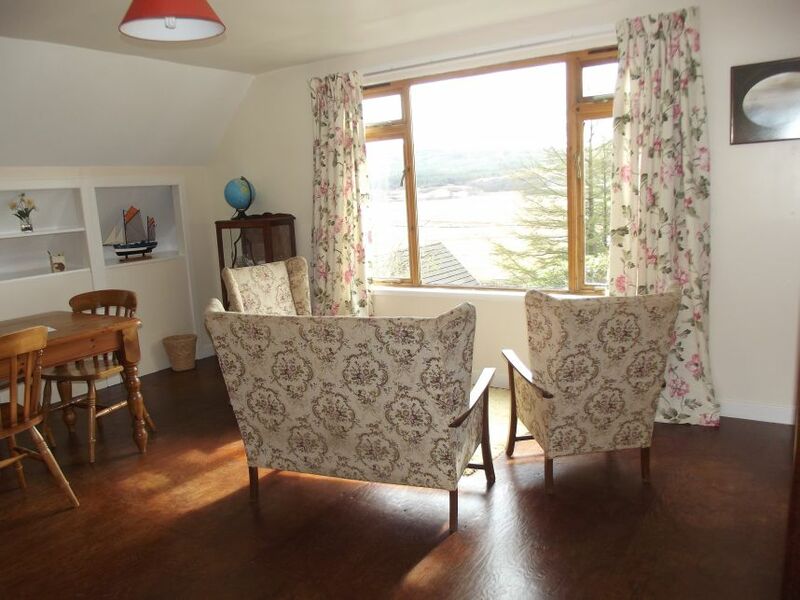 This chalet has been brought up to modern standards but with the original internal design. 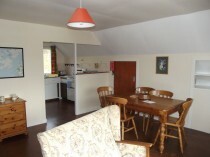 If you remember the Glen Houses from years ago this is the one that retains the old kitchen with original features. The design does not allow the incorporation of a dishwasher in this chalet. Cooker, microwave and all other modern accessories for catering are provided. Decorations are more old style here with retro furniture and floral designs to give an old country feel while you sit and admire the view. 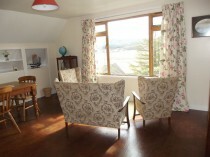 The large living area includes comfy chairs and the dining area and also a TV for playing of DVDs only. There is are electric convectors with fan for when the days are a bit c hilly. 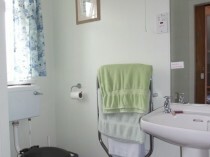 The bathroom has been freshly adapted with a shower over the bath, a heated towel rail and abundant hot water. 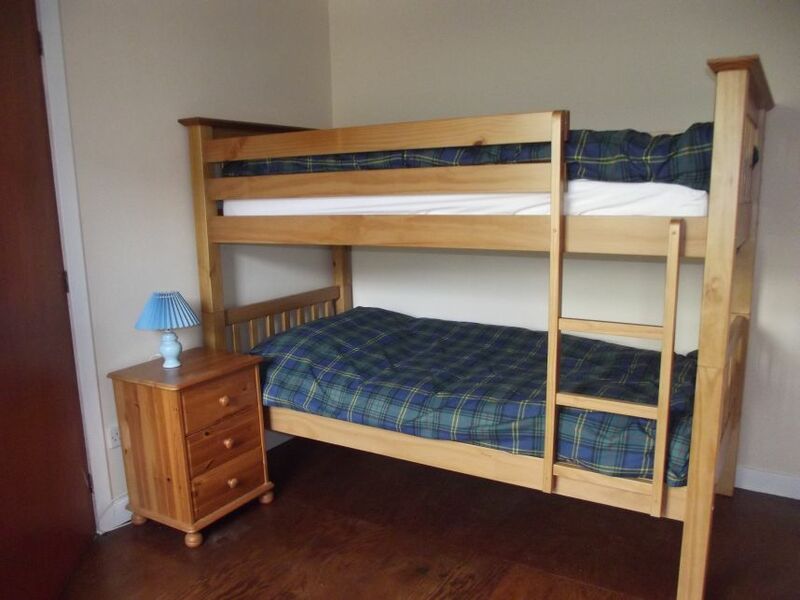 The two bedrooms are a double larger room with a double bed and the second bedroom has two bunks and a single bed. 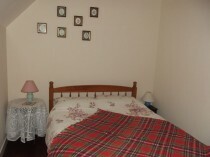 Each room has ample shelving, a clothes hanging rail and under eaves storage. There are extra pillows and blankets and a hot water bottle. 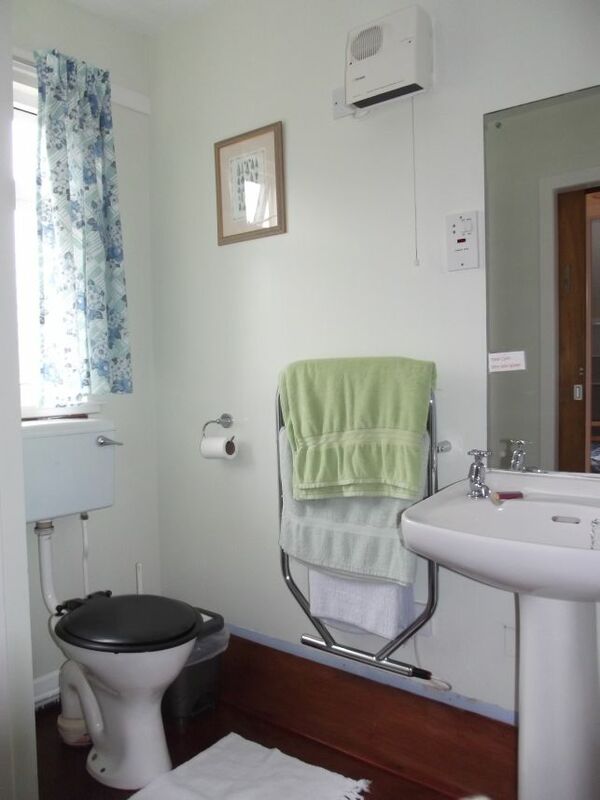 There is a hair dryer provided as well. 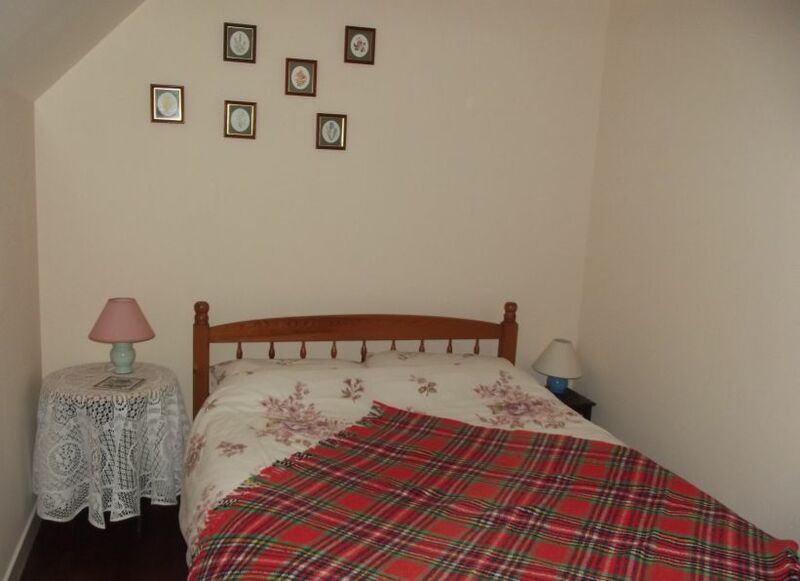 This chalet is dog friendly. Up to two dogs can be brought on holiday with you at a cost of £10 each. Please note that dogs must be kept on a lead at all times on the site as there is a resident cat, as well as other wildlife.